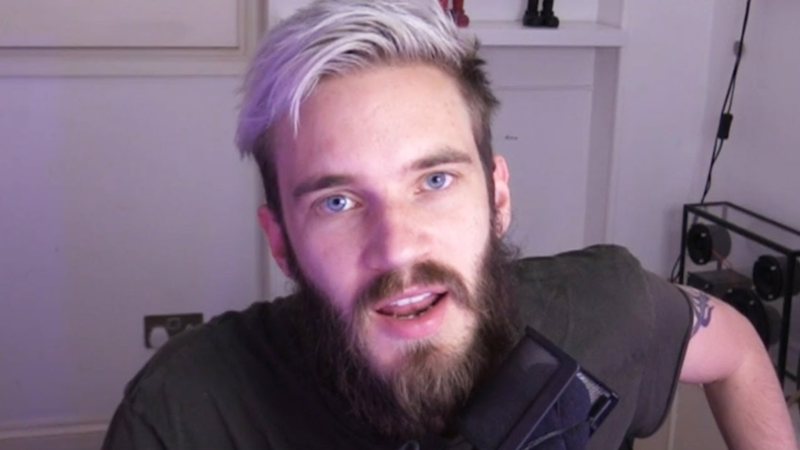 PewDiePie - Bio, Married, Wife, Girlfriend, Sister, Net Worth, Height, Is He Gay? PewDiePie – Bio, Married, Wife, Girlfriend, Sister, Net Worth, Height, Is He Gay? A few people in the world have attained kingship on the internet, some became famous in their acts of being internet models and some others through their massive posts on the necessities of life but for PewDiePie he is the lord of Photoshops and Youtube videos! He is known around the globe for his skills as a YouTuber, video Game commentator and a skilled graphics designer especially in the act of photoshopping. The Youtuber crafted the name PewDiePie from the sound of a gun (Pew), and the result of being shot (Die), then when he forgot his password, he added the last initial (Pie) because he is a die-hard fan of pies. PewDiePie is also known for his eloquent highlights in the Let’s Play commentaries and also on Video blogs. He started out in 2011 after he dropped out of the university and you can bet, he doesn’t regret the decision as he has built his career and has also made a fortune. Let’s meet this rare millionaire. The Youtuber was a stubborn kid growing up in Sweden, he had a rebellious record in school as a result of his keen interest in games where he chose playing games over attending school. As a child, he took a keen interest in art and had a lot of artistic drawings on some renowned game attributes such as Mario, Sonic the Hedgehog and the rest of them. Despite the rough ride as a student, he finally graduated from Göteborgs Högre Samskola in 2008. He then he enrolled at the Chalmers University of Technology to study industrial economics and technology management, but soon dropped out when he found no real satisfaction studying. Today, PewDiePie is counted amongst the many drop-outs like Steve Jobs, Julian Assange, Bill Gates, Evan Williams, Mark Zuckerberg to mention a few who have made a massive fortune despite their incomplete educational strata. He has undoubtedly made a fortune and is not set on stopping. His net worth has risen progressively over the years. Since the internet is his playground, PewDiePie is very active on Facebook, Instagram, Youtube, and Twitter. He has acquired over 7.3 million followers on Facebook in addition to the over 14.2 million followers on Instagram and an exceptional 15.9 million followers on Twitter. On his Youtube channel, PewDiePie has acquired over 63 million subscribers. PewDiePie was originally born as Felix Arvid Ulf Kjellberg on October 24, 1989, in Gothenburg. He was born to Lotta Kristine Johanna and Ulf Christain Kjellberg. His dad made ends meet as a cooperate executive while his mom did excellently well as a chief information officer and was named the best chief information officer in Sweden sometime in 2010. PewDiePie is one of two siblings, his other sibling is Fanny Kjellberg. Fanny Kjellberg was born on October 14, 1987, and is an older sister to the Youtuber. She was first introduced to the world in her brother’s video titled Meet My Family on his YouTube Channel. She currently resides in Brighton, Uk. Fanny also runs a Youtube channel, but unlike her brother, she does it just for fun. As is the fashion with overbearing fans, there have been speculations concerning the sexual orientation of PewDiePie. The gay rumors came to be after his landlord evicted him from his home for allegedly hearing moaning sounds from his room. Hilarious right! However, to the best of our knowledge, the Youtuber is nothing close to being gay especially as he is currently in a loving relationship. 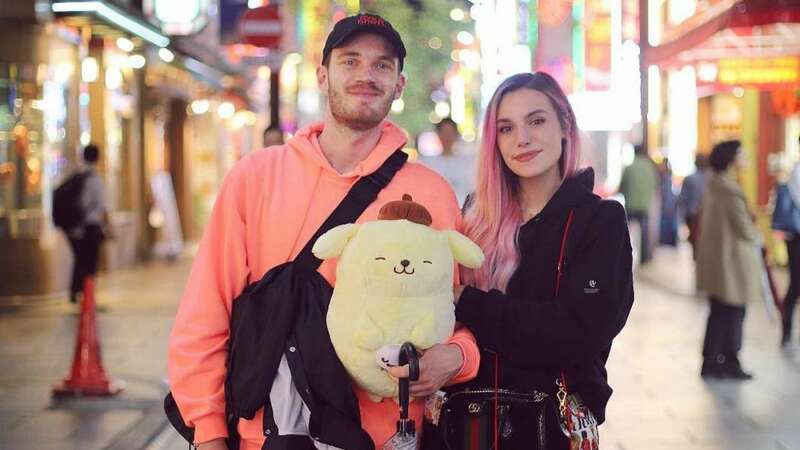 PewDiePie found love with Marzia Bisognin who is also an internet personality, she posts videos on writings, fashion and design tips and her styles. She has acquired over 567million views and has over 7.3 million Youtube subscribers for her channel. The two started their relationship sometime in 2011 after they were introduced by a friend named Daizo. Marzia found him interesting after the first date and further emailed him telling him how he caught her attention with his games. Seven years into the relationship, Marzia made a public announcement of their engagement 27th April 2018 as PewDiePie had proposed to her on their trip to Yokohama in Japan. They currently cohabit somewhere in the Brighton United Kingdom. We look forward to their wedding bells soon and we sure wish them the very best. PewDiePie is really cute, he has a set of cute blue eyes and a very large grin. He initially had his hair done in a blonde short curly hairstyle but has currently dyed his it grey. The Youtuber stands at 5 feet 11 inches having a balanced weight of 75kg. He measures 41-33-13.5 inches for chest, waist, and biceps respectively.